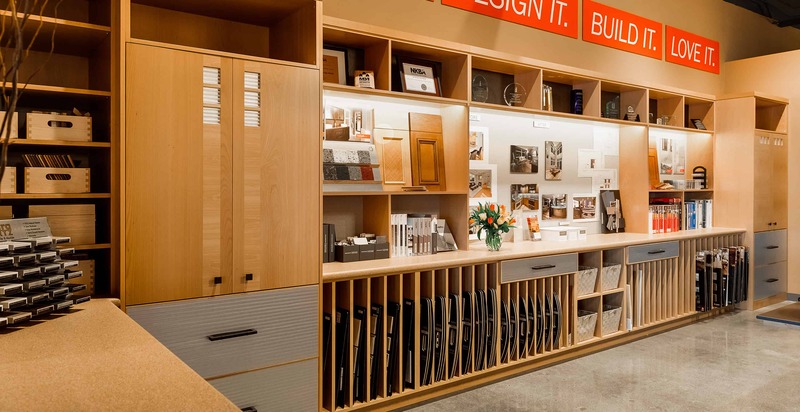 Our newest Design Center, which opened its doors in 2013, is located just off of I-5 on Corson Avenue South in Seattle’s Georgetown neighborhood. Our Seattle team provides a full suite of Design-Build Remodeling, Home Improvement, and Handyman services to clients in Seattle, Bellevue, and surrounding communities. You’re welcome to visit us Monday through Saturday, or check our events page for upcoming remodeling workshops. Your concerns are key in helping us determine how we begin a remodeling project and what solutions we use. Aesthetics and accessibility were on full display in Seattle Designer Diane Foreman’s latest bath project, which won the NKBA’s top award for Universal Design in January 2017.